“My best advice to future clinician-scientists is to stay curious and open-minded; I doubt I could have predicted my current research interest or described the path between the study of early oligodendrocyte maturation to in vivo placental development, but each experience along the way – both academic and clinical – has led me to where I am today,” Nickie Andescavage, M.D., writes. Too often, medical institutions erect an artificial boundary between caring for the developing fetus inside the womb and caring for the newborn whose critical brain development continues outside the womb. “To improve neonatal outcomes, we must transform our current clinical paradigms to begin treatment in the intrauterine period and continue care through the perinatal transition through strong collaborations with obstetricians and fetal-medicine specialists,” writes Nickie Andescavage, M.D., an attending in Neonatal-Perinatal Medicine at Children’s National. 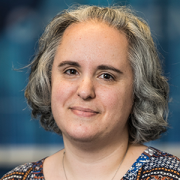 Dr. Andescavage’s commentary was published online March 25, 2019, in Pediatrics Research and accompanies recently published Children’s research about differences in placental development in the setting of placental insufficiency. Her commentary is part of a new effort by Nature Publishing Group to spotlight research contributions from early career investigators. The interplay between consuming breast milk and white matter microstructural organization. While attending Cornell University as an undergraduate, Dr. Andescavage had an early interest in neuroscience and neurobehavior. As she continued her education by attending medical school at Columbia University, she corroborated an early instinct to work in pediatrics. It wasn’t until the New Jersey native began pediatric residency at Children’s National that those complementary interests coalesced into a focus on brain autoregulation and autonomic function in full-term and preterm infants and imaging the brains of both groups. In normal, healthy babies the autonomic nervous system regulates heart rate, blood pressure, digestion, breathing and other involuntary activities. When these essential controls go awry, babies can struggle to survive and thrive. 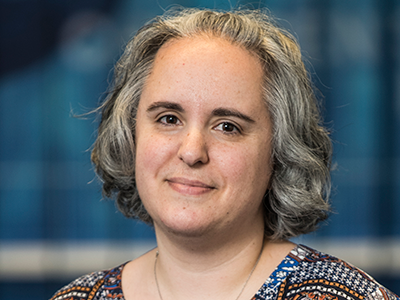 “My best advice to future clinician-scientists is to stay curious and open-minded; I doubt I could have predicted my current research interest or described the path between the study of early oligodendrocyte maturation to in vivo placental development, but each experience along the way – both academic and clinical – has led me to where I am today,” Dr. Andescavage writes in the commentary. Dr. Martin and a patient share a smile after a visit at Children’s National Health System. 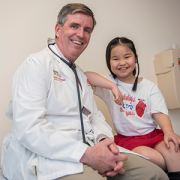 For pediatric cardiologists, February, National Heart Month, is a special time. We share health tips in the hospital and talk about heart health with those looking for advice, especially with patients and families impacted by congenital heart disease (CHD). It’s also a time to look back at what’s worked well in the field, while accelerating advancements for CHD treatment. To start, congenital heart disease, a structural abnormality of the heart or of the blood vessels surrounding it, is the most common birth defect and occurs in about one in every 100 live births, affecting 40,000 babies born in the U.S. each year. One million children and 1.4 million adults in the U.S. have CHD. Over the past 15 years, pediatric cardiologists have cut mortality rates for CHD in half. Gratefully, now instead of saving children’s lives, the emphasis is on improving them. The catalyst for this paradigm shift isn’t simply due to a medical breakthrough, but is also the result of collaboration and advocacy. Pediatric cardiologists worked together with other stakeholders – nurses, neonatologists, parents, state and federal agencies – to implement newborn screening methods in hospitals, with the introduction pulse oximetry screenings for critical congenital heart defects (CCHD). The screening, which measures blood oxygen levels in newborns, focuses on screening babies for CCHD before they leave the hospital. The concept and a national protocol for screening began with a small project in 2002, was endorsed by medical associations by 2012 and required by all states in 2018. The impact of CCHD screening of newborns is remarkable. Data published in JAMA showed a 33 percent reduction in CCHD infant deaths associated with states that required CCHD screening. The pulse oximetry screening’s impact on the number of lives saved goes beyond identifying newborns with CCHD. Worldwide, though the detection of secondary conditions, such as hypothermia, pneumonia, and sepsis, the pulse oximetry screening is estimated to save roughly 772,000 lives by 2030. In addition to newborn screening recommendations for CCHD, a group of cardiologists, including myself, worked for the Joint Council on Congenital Heart Disease (JCCHD) to form and support the National Pediatric Cardiology Quality Improvement Collaborative (NPC-QIC). We developed measures to see how we could improve survival rates between surgeries for infants born with hypoplastic left heart syndrome (HLHS), one of the most common and severe forms of CCHD. Babies born with HLHS require two heart surgeries within the baby’s first six months. Babies that survived the first operation had a significant mortality rate (15 percent) and frequent growth failure, while waiting for the second operation. Our focused aims were to both decrease the death rate and improve growth in these children. We analyzed data from medical centers, utilized quality improvement principals from the Institute for Health Care Improvement, talked with doctors and families, and invited teams from across the U.S. to partner with us to put quality and safety measures into place. Clear communication. Parents leaving the hospital received consistent messages about CHD, the type of surgery their baby had, next steps and how to care for their child at home. Improved nutrient intake. Parents received clear guidelines about how many calories babies needed to consume, were asked to weigh their baby each day, and taught how to augment feeding. Warning signs.Parents received a list of typical infant behaviors and HLHS red flags to watch out for, such as if a baby isn’t gaining a certain amount of weight. They received monitors to measure oxygen saturation levels at home. If oxygen saturation dropped significantly or if parents noticed a problem, they called their doctor immediately. The implementation of these procedures reduced interstage mortality rates and the number of growth failures for HLHS patients. In 2008, six centers participated in the NPC-QIC pilot. By 2018, 65 medical centers in the U.S. and Canada used these methods. Similar to the pulse oximetry screening guidelines, this new method wasn’t the result of a medical breakthrough, but the result of shared learning and shared infrastructure. Now, we’re referring more adult congenital heart patients to board-certified adult congenital heart disease (ACHD) specialists, a better fit than internists or pediatric cardiologists. Adults with congenital heart defects should have their heart examined at least once by a specialist and those with complex needs should meet with a specialist at least every two years. More than 300 board-certified ACHD specialists practice in the U.S. and the field is growing. The third ACHD board exam takes place this year. Over the next few decades, I hope we’ll make even more progress with understanding, diagnosing and treating CHD. Emerging research examines genetic clues for congenital heart defects, which were once thought to account for 8 percent of cases and may now account for 30 percent of conditions. We’re working with neurologists to examine the timing and pathway of potential oxygen inefficiencies that occur as the brain develops in utero, infancy, and after neonatal surgery. We’ve come a long way, but we continue looking at new frontiers and for innovative solutions. Fortunately, as cardiologists, we’re good at fixing problems. We work with surgeons and medical teams to repair holes in hearts, or replace them, and reroute blood from an underdeveloped left ventricle to improve circulation. For almost every heart defect, we have evidence-based solutions. However, to continue to help children worldwide, it’s imperative that we don’t forget about what works well: good science, tracking data, sharing best practices, active listening, transparency and constant collaboration. Gerard Martin, M.D., F.A.A.P., F.A.C.C., F.A.H.A., is a cardiologist and the medical director of global services at Children’s National Health System. Dr. Martin has practiced pediatric cardiology for 34 years and is the Dan G. McNamara keynote speaker at the American College of Cardiology’s 2019 Scientific Sessions. Follow Dr. Martin on Twitter @Gerard_MD. This article first appeared on KevinMD.com. How much do you know about congenital heart defects? Congenital heart defects affect 2.4 million people worldwide, including 1 million children. Over the past 15 years, pediatric cardiologists and adult congenital heart disease specialists have significantly improved long-term health outcomes for children and adults born with congenital heart defects. About one-fourth of congenital heart defects are considered critical. How much do you know about congenital heart disease, the most common birth defect? 1. Congenital heart defects affect about one in every ___ babies. 2. The pulse oximetry test, a preventive screening tool, is used to help doctors and parents identify babies at risk for congenital heart defects. 3. How many babies in the U.S. are born with congenital heart defects each year? 5. Not all congenital heart defects are the same. 6. If you have a congenital heart defect, you should take it easy. You don’t want to put too much pressure on your heart. 8. Genetic risk factors may account for __ percent of congenital heart defects. 9. New congenital heart research examines the link between the heart and the brain. Our brains need oxygen to function and develop. If our heart has a defect and can’t pump enough blood to support this process, we need to look at ways to strengthen this connection. We hope talking about these new frontiers in congenital heart disease treatment sparks interest among some of our patients taking this quiz – we’re always looking to work with future doctors, engineers, and researchers! https://innovationdistrict.childrensnational.org/wp-content/uploads/2019/02/heart-and-medical-equiptment.png 300 400 Innovation District https://innovationdistrict.childrensnational.org/wp-content/uploads/2018/11/idlogo1-tagline-Advances-in-Medicine.gif Innovation District2019-02-27 10:33:582019-02-27 16:00:28How much do you know about congenital heart defects? 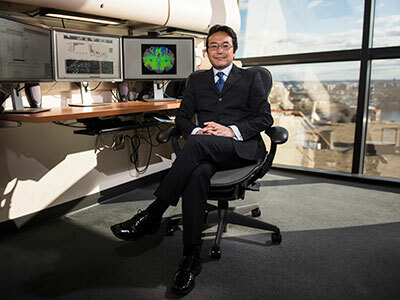 On Jan. 4, 2019, Nobuyuki Ishibashi, M.D., the director of the Cardiac Surgery Research Laboratory and an investigator with the Center for Neuroscience Research at Children’s National Health System, published a review in Trends in Neurosciences about the mechanisms of cortical dysmaturation, or disturbances in cortical development, that can occur in children born with congenital heart disease (CHD). By understanding the early-life impact and relationship between cardiac abnormalities and cortical neuronal development, Dr. Ishibashi and the study authors hope to influence strategies for neonatal neuroprotection, mitigating the risk for developmental delays among CHD patients. Tell us more about your research. Why did you choose to study these interactions in this patient population? My research focuses on studying how CHD and neonatal cardiac surgery affect the rapidly-developing brain. Many children with CHD, particularly the most complex anomalies, suffer from important behavioral anomalies and neurodevelopmental delays after cardiac surgery. As a surgeon scientist, I want to optimize treatment strategy and develop a new standard of care that will reduce neurodevelopmental impairment in our patients. How does this study fit into your larger body of work? What are a few take-home messages from this paper? Our team and other laboratories have recently identified a persistent perinatal neurogenesis that targets the frontal cortex – the brain area responsible for higher-order cognitive functions. The main message from this article is that further understanding of the cellular and molecular mechanisms underlying cortical development and dysmaturation will likely help to identify novel strategies to treat and improve outcomes in our patients suffering from intellectual and behavioral disabilities. What do you want pediatricians and researchers to know about this study? Why is it important right now? Although the hospital mortality risk is greatly reduced, children with complex CHD frequently display subsequent neurological disabilities affecting intellectual function, memory, executive function, speech and language, gross and fine motor skills and visuospatial functions. In addition to the impact of the neurological morbidity on the patients themselves, the toll on families and society is immense. Therefore it is crucial to determine the causes of altered brain maturation in CHD. How do you envision this research influencing future studies and pediatric health outcomes? As a researcher, how will you proceed? In this article we placed special emphasis on the need for well-designed preclinical studies to define disturbances in cortical neurogenesis due to perinatal brain injury. I believe that further study of the impact of hypoxemia on brain development is of broad relevance — not just for children with congenital heart disease, but for other populations where intellectual and behavioral dysfunctions are a source of chronic morbidity, such as survivors of premature birth. What discoveries do you envision being at the forefront of this field? One of the important questions is: During which developmental period, prenatal or postnatal, is the brain most sensitive to developmental and behavioral disabilities associated with hypoxemia? Future experimental models will help us study key effects of congenital cortical development anomalies on brain development in children with CHD. What impact could this research make? What’s the most striking finding and how do you think it will influence the field? Although cortical neurogenesis at fetal and adult stages has been widely studied, the development of the human frontal cortex during the perinatal period has only recently received greater attention as a result of new identification of ongoing postnatal neurogenesis in the region responsible for important intellectual and behavioral functions. Children’s National is very excited with the discoveries because it has opened new opportunities that may lead to regeneration and repair of the dysmature cortex. If researchers identify ways to restore endogenous neurogenic abilities after birth, the risk of neurodevelopment disabilities and limitations could be greatly reduced. Is there anything else you would like to add that we didn’t ask you about? What excites you about this research? In this article we highlight an urgent need to create a truly translational area of research in CHD-induced brain injury through further exploration and integration of preclinical models. I’m very excited about the highly productive partnerships we developed within the Center for Neuroscience Research at Children’s National, led by an internationally-renowned developmental neuroscientist, Vittorio Gallo, Ph.D., who is a co-senior author of this article. Because of our collaboration, my team has successfully utilized sophisticated and cutting-edge neuroscience techniques to study brain development in children born with CHD. To determine the causes of altered brain maturation in congenital heart disease and ultimately improve neurological function, we believe that a strong unity between cardiovascular and neuroscience research must be established. Additional study authors include Camille Leonetti, Ph.D., a postdoctoral research fellow with the Center for Neuroscience Research and Children’s National Heart Institute, and Stephen Back, M.D., Ph.D., a professor of pediatrics at Oregon Health and Science University. The research was supported by multiple grants and awards from the National Institutes of Health, inclusive of the National Heart Lung and Blood Institute (RO1HL139712), the National Institute of Neurological Disorders and Stroke (1RO1NS054044, R37NS045737, R37NS109478), the National Institute on Aging (1RO1AG031892-01) and the National Institute of Child Health and Human Development (U54HD090257). Additional support for this review was awarded by the American Heart Association (17GRNT33370058) and the District of Columbia Intellectual and Developmental Disabilities Research Center, which is supported through the Eunice Kennedy Shriver National Institute of Child Health and Human Development program grant 1U54HD090257. 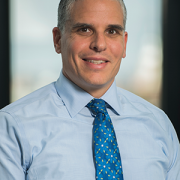 Darren Klugman, M.D., medical director of the cardiac intensive care unit (ICU) at Children’s National Health System, has been re-elected to the executive board of the Pediatric Cardiac Intensive Care Society (PCICS). 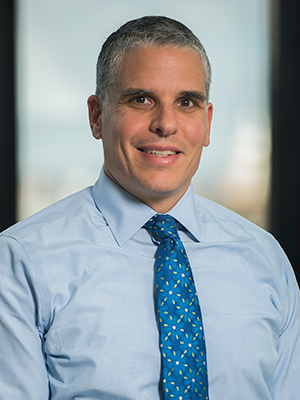 Darren Klugman, M.D., medical director of the cardiac intensive care unit (ICU) at Children’s National Health System, has been re-elected to the executive board of the Pediatric Cardiac Intensive Care Society (PCICS). Klugman will serve a second term as secretary of the organization, which serves to promote excellence in pediatric critical care medicine. Melissa B. Jones, CPNP-AC, a critical care nurse practitioner at Children’s National, received the honor of being elected Vice President of PCICS. She will take on this leadership role for two years before assuming the presidency of the society in 2020. Another critical care nurse practitioner at Children’s National, Christine Riley, CPNP-AC, was elected to serve a two-year term on the board of directors. Congenital heart disease (CHD) is the most common birth defect. There have been many advances in the treatment of children with cardiovascular disorders, leading to a reduction in mortality. However, the extreme complexity of this treatable disease requires specialized care from disciplines beyond cardiology, including critical care, cardiac surgery and anesthesia. PCICS was formed to provide an international professional forum for promoting excellence in pediatric cardiac critical care. Children’s National has had a large role in PCICS since its inception in 2003. David Wessel, M.D., executive vice president and chief medical officer, Hospital and Specialty Services, was one of the founding members of the international society. Children’s National served as the host of the 13th Annual International Meeting of PCICS in December of 2017 with many experts including Richard Jonas, M.D., division chief of cardiac surgery and co-director of the Children’s National Heart Institute, and Ricardo Muñoz, M.D., division chief of cardiac critical care medicine and executive director of telemedicine, giving talks. Many Children’s National specialists again will lend their expertise to this year’s PCICS annual meeting in Miami, Fla., in December. 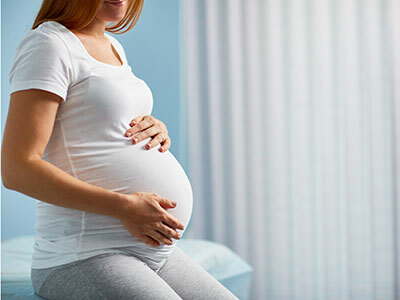 During the last few weeks of pregnancy, certain regions of the fetal brain experience exponential growth but also are more vulnerable to injury during that high-growth period. Yao Wu, Ph.D., a research postdoctoral fellow in the Developing Brain Research Laboratory at Children’s National Health System, has received a Thrasher Research Fund early career award to expand knowledge about regions of the fetal brain that are vulnerable to injury from congenital heart disease (CHD) during pregnancy. CHD, the most common birth defect, can have lasting effects, including overall health issues; difficulty achieving milestones such as crawling, walking or running; and missed days at daycare or school, according to the Centers for Disease Control and Prevention. Brain injury is a major complication for infants born with CHD. 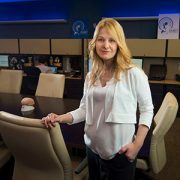 Catherine Limperopoulos, Ph.D., director of Children’s brain imaging lab, was the first to provide in vivo evidence that fetal brain growth and metabolism in the third trimester of pregnancy is impaired within the womb. During the last few weeks of pregnancy, certain regions of the fetal brain experience exponential growth but also are more vulnerable to injury during that high-growth period. 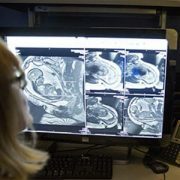 The grant, $26,749 over two years, will underwrite “Brain Development in Fetuses With Congenital Heart Disease,” research that enables Wu to utilize quantitative, non-invasive magnetic resonance imaging (MRI) to compare fetal brain development in pregnancies complicated by CHD with brain development in healthy fetuses of the same gestational age.Wu will leverage quantitative, in vivo 3-D volumetric MRI to compare overall fetal and neonatal brain growth as well as growth in key regions including cortical grey matter, white matter, deep grey matter, lateral ventricles, external cerebrospinal fluid, cerebellum, brain stem, amygdala and the hippocampus. 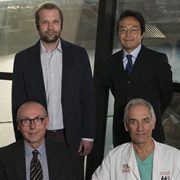 The research is an offshoot of a prospective study funded by the National Institutes of Health that uses advanced imaging techniques to record brain growth in 50 fetuses in pregnancies complicated by CHD who need open heart surgery and 50 healthy fetuses. MRI studies are conducted during the second trimester (24 to 28 weeks gestational age), third trimester (33 to 37 weeks gestational age) and shortly after birth but before surgery. In addition, fetal and neonatal MRI measurements will be correlated with validated scales that measure infants’ and toddlers’ overall development, behavior and social/emotional maturity. In 2017, clinicians and research faculty working at Children’s National Health System published more than 850 research articles about a wide array of topics. A multidisciplinary Children’s Research Institute review group selected the top 10 articles for the calendar year considering, among other factors, work published in high-impact academic journals. Racial and ethnic disparities in pediatric readmission rates vary for chronic conditions such as asthma, depression, diabetes, migraines and seizures. Dr. Batshaw’s announcement comes on the eve of Research and Education Week 2018 at Children’s National, a weeklong event that begins April 16, 2018. This year’s theme, “Diversity powers innovation,” underscores the cross-cutting nature of Children’s research that aims to transform pediatric care. The only treatment currently available for patients born with single ventricle heart defects is the Fontan operation. And, while the operation provides excellent long-term palliation and survival, Fontan hearts eventually fail, and there are limited treatment options to help these patients make it to a heart transplant. A team led by Murfad Peer, M.D., a cardiac surgeon at Children’s National, is trying to increase the survivorship of these patients with a heart pump. Currently in the United States, more than 800 Fontan procedures are done every year. The operation involves connecting the superior and inferior vena cava directly to the pulmonary artery so that deoxygenated blood flows straight to the lungs. So, while the Fontan operation has facilitated the survival of a generation of children born with congenital heart disease, it does not recreate normal circulation. And, after about 15 to 20 years, the pressure on the right side of the heart becomes so high in some patients that blood starts backing up into the veins, resulting in organ failure. One way to keep blood flowing is by adding a pump. Dr. Peer and his team hypothesized this could be accomplished by returning circulation to the way it was before the Fontan operation, and then supporting the ventricle with a standard commercially available continuous flow ventricular assist device (VAD) that pumps blood into the lungs and the aorta. “We took a commercially available left-ventricle assist device and split the outflow graft so that it could flow both into the systemic circulation and into the lungs,” says Dr. Peer. The team tested their mechanically assisted single ventricle circulation (MASVC) in an animal model of functionally univentricular circulation, and they were able to sustain the animal for two hours. The results were published in January 2018, in the World Journal for Pediatric and Congenital Heart Surgery. Going forward, the team plans on testing MASVC for longer periods of time to determine its long-term durability. Dr. Peer is also working on computer modeling MASVC in a patient using an MRI. 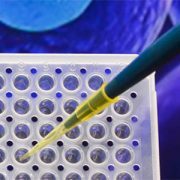 The National Institutes of Health (NIH) awarded researchers at Children’s National Health System $2.6 million to expand their studies into whether human stem cells could someday treat and even reverse neurological damage in infants born with congenital heart disease (CHD). Researchers estimate that 1.3 million infants are born each year with CHD, making it the most common major birth defect. Over the past 30 years, advances in medical technology and surgical practices have dramatically decreased the percentage of infants who die from CHD – from a staggering rate of nearly 100 percent just a few decades ago to the current mortality rate of less than 10 percent. The increased survival rate comes with new challenges: Children with complex CHD are increasingly diagnosed with significant neurodevelopmental delay or impairment. Clinical studies demonstrate that CHD can reduce oxygen delivery to the brain, a condition known as hypoxia, which can severely impair brain development in fetuses and newborns whose brains are developing rapidly. Nobuyuki Ishibashi, M.D., the study’s lead investigator with the Center for Neuroscience Research and director of the Cardiac Surgery Research Laboratory at Children’s National, proposes transfusing human stem cells in experimental models through the cardio-pulmonary bypass machine used during cardiac surgery. Help promote neurogenesis in the subventricular zone, the largest niche in the brain for creating the neural stem/progenitor cells leading to cortical growth in the developing brain. At the conclusion of the research study, Dr. Ishibashi says the hope is to develop robust data so that someday an effective treatment will be available and lasting neurological damage in infants with congenital heart disease will become a thing of the past. Nobuyuki Ishibashi, M.D., and a team of researchers looked the effects of cardiopulmonary bypass surgery on the white matter of an animal model. Mortality rates for infants born with congenital heart disease (CHD) have dramatically decreased over the past two decades, with more and more children reaching adulthood. However, many survivors are at risk for neurodevelopmental abnormalities associated with cardiopulmonary bypass surgery (CPB), including long-term injuries to the brain’s white matter and neural connectivity impairments that can lead to neurological dysfunction. 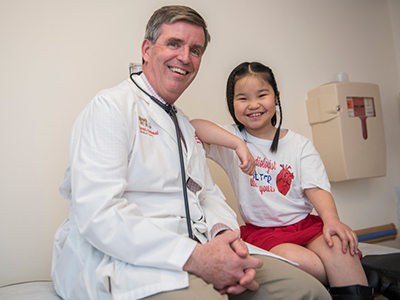 “Clinical studies have found a connection between abnormal neurological outcomes and surgery, but we don’t know what’s happening at the cellular level,” explains Nobuyuki Ishibashi, M.D., Director of the Cardiac Surgery Research Laboratory at Children’s National. To help shed light on this matter, Ishibashi and a team of researchers looked at the effects of CPB on the white matter of an animal model. The research team randomly assigned models to receive one of three CPB-induced insults: a sham surgery (control group); full-flow bypass for 60 minutes; and 25°C circulatory arrest for 60 minutes. The team then used fractional anisotropy — a technique that measures the directionality of axon mylenation — to determine white matter organization in the models’ brains. They also used immunohistology techniques to assess the integrity of white matter oligodendrocytes, astrocytes and microglia. The results, published in the Journal of the American Heart Association, show that white matter experiences region-specific vulnerability to insults associated with CPB, with fibers within the frontal cortex appearing the most susceptible. The team also found that fractional anisotropy changes after CPB were insult dependent and that regions most resilient to CPB-induced fractional anisotropy reduction were those that maintained mature oligodendrocytes. From these findings, Ishibashi and his co-authors conclude that reducing alterations of oligodendrocyte development in the frontal cortex can be both a metric and a goal to improve neurodevelopmental impairment in the congenital heart disease population. “Because we are seeing cellular damage in these regions, we can target them for future therapies,” explains Ishibashi. The study also demonstrates the dynamic relationship between fractional anisotropy and cellular events after pediatric cardiac surgery, and indicates that the technique is a clinically relevant biomarker in white matter injury after cardiac surgery. 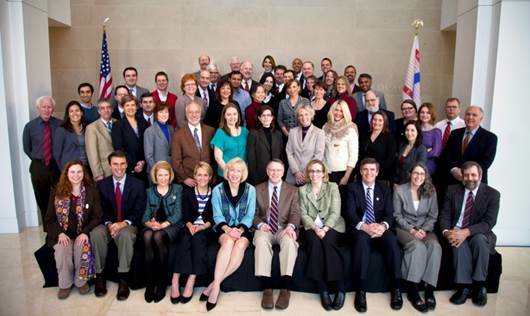 Stakeholders meeting at American College of Cardiology’s Heart House in February 2012 to discuss U.S. implementation and recommendation of pulse ox screening. Congenital heart disease (CHD) is the most common birth defect, affecting approximately eight out of every 1,000 babies born in the United States. The most severe cases, critical congenital heart disease (CCHD), affect three in every 1,000 babies. Just a few years ago, many of these seemingly healthy infants were discharged from the hospital only to suffer severe complications, brain damage or even death due to their undiagnosed conditions. In 2009, Children’s National Cardiologist and Medical Director of Global Services Gerard Martin, M.D., and the nursing staff within the Children’s National Heart Institute took on this challenge with peers around the country by urging legislators and educating clinicians that implementing a simple, painless test called pulse oximetry (ox) could identify infants who may suffer from undetected CCHD. Today, 49 out of 50 states in the United States mandate pulse ox screening, which uses a small, red light, or “probe,” to measure the percent oxygen saturation of hemoglobin in the arterial blood. Use of pulse ox also is included in the Recommended Uniform Screening Panel (RUSP), endorsed by the Secretary of the U.S. Department of Health and Human Services. This week, the Centers for Disease Control and Prevention released a report presenting definitive evidence that these efforts are saving lives. Published in JAMA, the report shows a 33 percent reduction in pediatric CCHD deaths from 2007 to 2013 in states with mandated pulse ox screening compared to states without screening policies. The study also found a 21 percent drop in infant deaths from other or unspecified cardiac causes in those states. Applying the data to the United States as a whole, this equates to preventing the deaths of 120 newborns each year. Physicians and staff at Children’s National and Holy Cross Hospital in Silver Spring, Md., began their campaign by initiating a research study to examine the feasibility of implementing pulse ox screening for CCHD in a community hospital setting. Their findings not only showed it was possible, but it also only required approximately 3.5 minutes per baby, and it could be integrated into existing workflow without adding additional nursing staff. 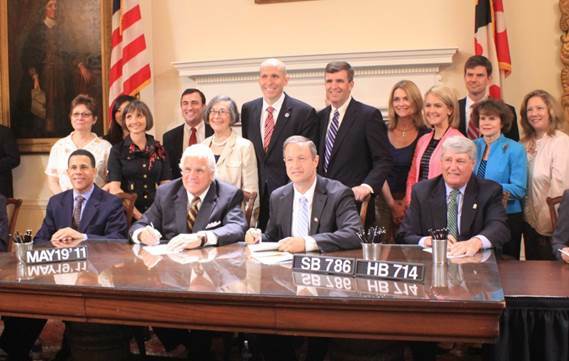 Children’s National leaders join with Governor Martin O’Malley and Maryland legislators for the signing of SB 786 and HB 714, mandating pulse oximetry screening across the state on May 19, 2011. 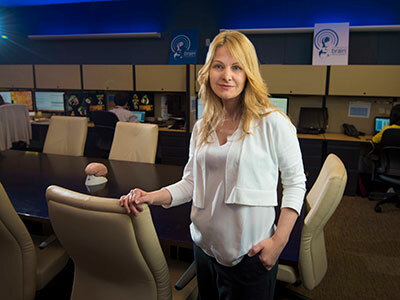 The findings also led to the development of an educational toolkit – now available in English, Spanish, Arabic, French, Chinese and Russian – which Dr. Martin and the Children’s National Heart Institute’s nursing staff have used to teach upwards of 3,000 hospitals, globally, how to implement the screening. Children’s National, in partnership with Baby’s First Test, also released two videos for parents and clinicians respectively, to forward knowledge about pulse ox. Simultaneously, the Children’s National team worked as national and local advocacy leaders. Dr. Martin served as part of the federal Advisory Committee on Heritable Disorders in Newborns and Children that issued national recommendations to add screening for congenital heart disease to RUSP in 2011. 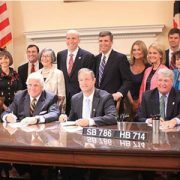 The team also spearheaded efforts that led to the passage of legislative mandates and helped to implement screening for all newborns in Maryland, Virginia and Washington, D.C.
Dr. Martin hopes this announcement will prompt Idaho, the only state that has not adopted universal CCHD screening, to take action. He also says health leaders need to continue to invest in smarter technology and testing capabilities, as well as advance training and education for more thorough prenatal ultrasounds, so that every baby with CCHD is found early and receives lifesaving care. On December 6-8, Children’s National Health System will host the 13th Annual International Meeting of the Pediatric Cardiac Intensive Care Society (PCICS) in Washington, D.C. Chaired by Darren Klugman, M.D., Medical Director of the Cardiac Intensive Care Unit at Children’s National, and Melissa B. Jones, CPNP-AC, cardiac critical care nurse practitioner at Children’s National, the conference will center on the care of children with congenital heart disease around the world. 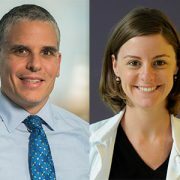 Chaired by Darren Klugman, M.D., Medical Director of the Cardiac Intensive Care Unit at Children’s National, and Melissa B. Jones, CPNP-AC, cardiac critical care nurse practitioner at Children’s National, the conference will center on the care of children with congenital heart disease around the world. Several doctors from Children’s National will present at the conference, including Richard Jonas, M.D., Division Chief of Cardiac Surgery and Co-Director or the Children’s National Heart Institute, who will give a talk titled “Two Wrongs Don’t Make One Right: A Good Single V Is Better Than a Bad 2V.” Dr. Jonas has spent his career studying ways to improve the safety of cardiopulmonary bypass, particularly as it relates to neurological development. His current R01 grant focuses on white matter susceptibility to cardiac surgery. Other ongoing projects include investigating the use of near-infrared spectroscopy to guide surgery, examining the permeability of the blood brain barrier during cardiopulmonary bypass using a porcine model, exploring the cellular and molecular level responses to various bypass strategies and developing appropriate bypass management and adjunctive protection. 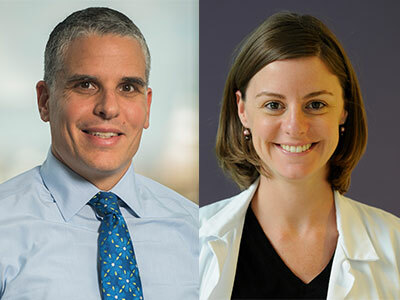 Children’s National researchers led by Catherine Limperopoulos, Ph.D., demonstrate for the first time that the brains of high-risk infants show signs of functional impairment before they undergo corrective cardiac surgery. Newborns with congenital heart disease (CHD) requiring open-heart surgery face a higher risk for neurodevelopmental disabilities, yet prior studies had not examined whether functional brain connectivity is altered in these infants before surgery. Findings from a Children’s National Health System study of this question suggest the presence of brain dysfunction early in the lives of infants with CHD that may be associated with neurodevelopmental impairments years later. 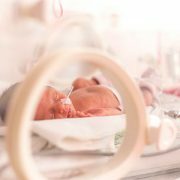 Using a novel imaging technique, Children’s National researchers demonstrated for the first time that the brains of these high-risk infants already show signs of functional impairment even before they undergo corrective open heart surgery. Looking at the newborns’ entire brain topography, the team found intact global organization – efficient and effective small world networks – yet reduced functional connectivity between key brain regions. The research team led by Josepheen De Asis-Cruz, M.D., Ph.D., compared whole brain functional connectivity in 82 healthy, full-term newborns and 30 newborns with CHD prior to corrective heart surgery. Conventional imaging had detected no brain injuries in either group. The team used resting state functional connectivity magnetic resonance imaging (rs-fcMRI), a imaging technique that characterizes fluctuating blood oxygen level dependent signals from different regions of the brain, to map the effect of CHD on newborns’ developing brains. 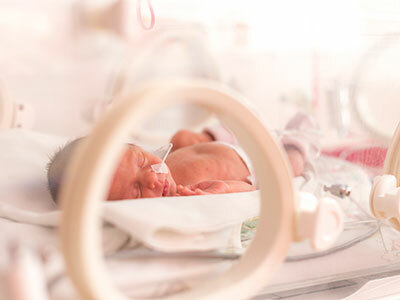 The newborns with CHD had lower birth weights and lower APGAR scores (a gauge of how well brand-new babies fare outside the womb) at one and five minutes after birth. Before the scan, the infants were fed, wrapped snugly in warm blankets, securely positioned using vacuum pillows, and their ears were protected with ear plugs and ear muffs. While the infants with CHD had intact global network topology, a close examination of specific brain regions revealed functional disturbances in a subnetwork of nodes in newborns with cardiac disease. The subcortical regions were involved in most of those affected connections. The team also found weaker functional connectivity between right and left thalamus (the region that processes and transmits sensory information) and between the right thalamus and the left supplementary motor area (the section of the cerebral cortex that helps to control movement). 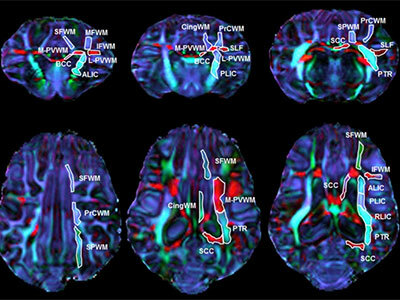 The regions with reduced functional connectivity depicted by rs-fcMRI match up with regional brain anomalies described in imaging studies powered by conventional MRI and diffusion tensor imaging. A new four-year NIH grant will enable Zhe Han, Ph.D., to carry out the latest stage in the detective work to determine how histone-modifying genes regulate heart development and the molecular mechanisms of congenital heart disease caused by these genetic mutations. 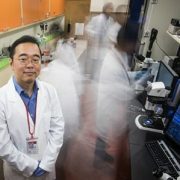 The National Institutes of Health (NIH) has awarded $1.75 million to a research lab led by Zhe Han, Ph.D., principal investigator and associate professor in the Center for Genetic Medicine Research, in order to build models of congenital heart disease (CHD) that are tailored to the unique genetic sequences of individual patients. Han was the first researcher to create a Drosophila melanogaster model to efficiently study genes involved in CHD, the No.1 birth defect experienced by newborns, based on sequencing data from patients with the heart condition. While surgery can fix more than 90 percent of such heart defects, an ongoing challenge is how to contend with the remaining cases since mutations of a vast array of genes could trigger any individual CHD case. In a landmark paper published in 2013 in the journal Nature, five different institutions sequenced the genomes of more than 300 patients with CHD and their families, identifying 200 mutated genes of interest. The new four-year NIH grant will enable Han to carry out the next stage of the detective work to determine precisely how histone-modifying genes regulate heart development. In order to do so, his group will silence the function of histone-modifying genes one by one, to study their function in the fly heart development and to identify the key histone-modifying genes for heart development. And because patients with CHD can have more than one mutated gene, he will silence multiple genes simultaneously to determine how those genes work in partnership to cause heart development to go awry. By the end of the four-year research project, Han hopes to be able to identify all of the histone-modified genes that play pivotal roles in development of the heart in order to use those genes to tailor make personalized fly models corresponding to individual patient’s genetic makeup. Parents with mutations linked to CHD are likely to pass heart disease risk to the next generation. One day, those parents could have an opportunity to sequence their genes to learn the degree of CHD risk their offspring face. “Funding this type of basic research enables us to understand which genes are important for heart development and how. 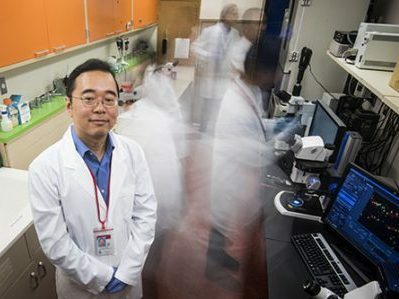 With this knowledge, in the near future we could predict the chances of a baby being born with CHD, and cure it by using gene-editing approaches to prevent passing disease to the next generation,” Han says. A research project led by Subechhya Pradhan, Ph.D., aims to shed light on metabolism of the placenta, a poorly understood organ, and characterize early biomarkers of fetal congenital heart disease. The placenta serves as an essential intermediary between a pregnant mother and her developing fetus, transporting in life-sustaining oxygen and nutrients, ferrying out waste and serving as interim lungs, kidneys and liver as those vital organs develop in utero. While the placenta plays a vital role in supporting normal pregnancies, it remains largely a black box to science. A research project led by Subechhya Pradhan, Ph.D., and partially funded by a Clinical and Translational Science Institute Research Award aims to shed light on placenta metabolism and characterize possible early biomarkers of impaired placental function in fetal congenital heart disease (CHD), the most common type of birth defect. The project Pradhan leads will look at the placentas of 30 women in the second and third trimesters of healthy, uncomplicated pregnancies and will compare them with placentas of 30 pregnant women whose fetuses have been diagnosed with CHD. As volunteers for a different study, the women are already undergoing magnetic resonance imaging, which takes detailed images of the placenta’s structure and architecture. The magnetic resonance spectroscopy scans that Pradhan will review show the unique chemical fingerprints of key metabolites: Choline, lipids and lactate. Choline, a nutrient the body needs to preserve cellular structural integrity, is a marker of cell membrane turnover. Fetuses with CHD have higher concentrations of lactate in the brain, a telltale sign of a shortage of oxygen. Pradhan’s working hypothesis is that there may be differing lipid profiles and lactate levels in the placenta in pregnancies complicated by CHD. The research team will extract those metabolite concentrations from the spectral scans to describe how they evolve in both groups of pregnant women. “While babies born with CHD can undergo surgery as early as the first few days (or sometimes hours) of life to correct their hearts, unfortunately, we still see a high prevalence of neurodevelopmental impairments in infants with CHD. This suggests that neurological dysfunctional may have its origin in fetal life,” Pradhan says. Having an earlier idea of which fetuses with CHD are most vulnerable has the potential to pinpoint which pregnancies need more oversight and earlier intervention. Placenta spectral data traditionally have been difficult to acquire because the pregnant mother moves as does the fetus, she adds. During the three-minute scans, the research team will try to limit excess movement using a technique called respiratory gating, which tells the machine to synchronize image acquisition so it occurs in rhythm with the women’s breathing. 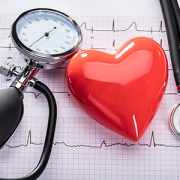 In a recent review article published in Circulation Research, Nobuyuki Ishibashi, M.D., and his colleagues at Children’s National Health System summarized what is currently known about how congenital heart disease affects brain maturation. Among all known birth defects, congenital heart disease (CHD) is the leading cause of death in infants. Fortunately, advances in surgical techniques and treatments are improving the outlook for these children, and more and more are reaching adulthood. However, because of this increased longevity, it has become increasingly clear that children born with CHD are at risk of developing life-long neurological deficits. Several risk factors for these neurodevelopmental abnormalities have been identified, but direct links between specific factors and neurological defects have yet to be established. In a recent review article published in Circulation Research, a team from Children’s National Health System summarized what is currently known about how CHD affects brain maturation. Drawing from studies conducted at Children’s National as well as other research institutions, Paul D. Morton, Ph.D., Nobuyuki Ishibashi, M.D., and Richard A. Jonas, M.D., write that clinical findings in patients, improvements in imaging analysis, advances in neuromonitoring techniques and the development of animal models have greatly contributed to our understanding of the neurodevelopmental changes that occur with CHD. An assessment of the intraoperative effects of cardiopulmonary bypass surgery on white matter using neonatal piglets. 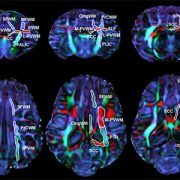 An arterial spin labeling MRI study that showed newborns with complex CHD have a significant reduction in global cerebral blood flow. A rodent study that modeled diffuse white matter brain injury in premature birth and identified the cellular and molecular mechanisms underlying lineage-specific vulnerabilities of oligodendrocytes and their regenerative response after chronic neonatal hypoxia. The authors conclude that although there is ample clinical evidence of neurological damage associated with CHD, there is limited knowledge of the cellular events associated with these abnormalities. They offer perspectives about what can be done to improve our understanding of neurological deficits in CHD, and emphasize that ultimately, a multidisciplinary approach combining multiple fields and myriad technology will be essential to improve or prevent adverse neurodevelopmental outcomes in individuals with CHD. Q: What are the cellular events associated with each factor involved in neurodevelopmental delays? Q: How does the neurodevelopmental status of a patient with CHD change as they age? Q: How do the genes involved in structural congenital cardiac anomalies affect brain development and function? Source: Norton, P.D., Ishibashi, N., Jonas, R.A. “Neurodevelopmental Abnormalities and Congenital Heart Disease: Insights Into Altered Brain Maturation,” Circulation Research (2017) 120:960-977. Children’s National Health System is pleased to announce the addition of Can Yerebakan, M.D., and Karthik Ramakrishnan, M.D., to our team of pediatric cardiac surgeons. Dr. Yerebakan comes to Children’s National from the prestigious Pediatric Heart Center in Giessen, Germany, where he was appointed as an Associate Professor of Cardiac Surgery at the Justus-Liebig-University and performed hybrid treatment of hypoplastic left heart syndrome (HLHS). He was deeply involved in mechanical circulatory support and pediatric heart transplantation in Giessen – a leading center for pediatric heart transplantation in Europe. He also served as Chief of Clinical and Experimental Research in the Department of Congenital Cardiac Surgery at Justus-Liebig-University of Giessen, where he acquired several research grants and contributed to more than 20 abstract presentations at national and international meetings and 20 papers in peer-reviewed journals. . Dr. Yerebakan has published approximately 70 scientific papers with more than 160 impact points in three different languages. 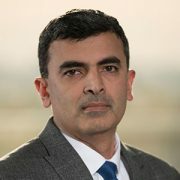 He is an active reviewer for journals such as the Journal of Thoracic and Cardiovascular Surgery, European Journal of Cardiothoracic Surgery and serves as assistant editor of the Interactive Cardiovascular and Thoracic Surgery journal and Multimedia Manual Cardiothoracic Surgery journal, both of which are official journals of the European Association of Cardiothoracic Surgery. He has had a distinguished academic career and is internationally recognized for his contributions to the field of congenital cardiac surgery, particularly in the treatment of HLHS and novel surgical treatments for heart failure in the pediatric population. Prior to his tenure at Pediatric Heart Center, Dr. Yerebakan completed his fellowship at Children’s in 2011. Dr. Ramakrishnan joined Children’s National as a fellow in 2014 after completing his fellowship in congenital cardiac surgery at two major centers in Australia. After his two-year fellowship at Children’s, he joined the faculty. Dr. Ramakrishnan has extensive experience in managing children with congenital heart disease. Apart from routine open heart procedures, he has a special expertise in extracorporeal membrane oxygenation (ECMO) procedures and patent ductus arteriosus (PDA) ligation in extremely premature babies. He also has a keen interest in studying clinical outcomes after pediatric heart surgery. His research projects have included analysis of the United Network of Organ Sharing (UNOS) and the Pediatric Health Information System® (PHIS) databases, and his research has resulted in numerous presentations at national and international meetings. 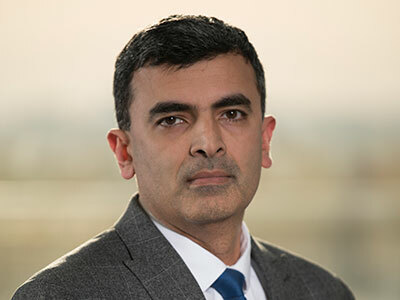 Dr. Ramakrishnan is currently the principal investigator at Children’s National for the Pediatric Heart Transplant Study (PHTS) group and the study coordinator for the Congenital Heart Surgeons’ Society (CHSS) studies. He also is a member of the PHTS working group on the surveillance and diagnosis of cellular rejection, and his clinical studies have resulted in several publications in top peer-reviewed journals. Drs. Yerebakan and Ramakrishanan join Richard Jonas, M.D., Co-director of Children’s National Heart Institute and Chief of Cardiac Surgery, and Pranava Sinha, M.D., on the Cardiac Surgery attending staff. We look forward to continuing to strengthen our program with the addition of these physicians. Children’s National Heart Institute Team at American College of Cardiology 66th Annual Scientific Session & Expo. 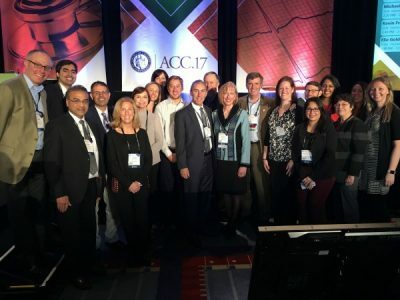 The world’s leading cardiovascular specialists gathered in Washington, D.C., from March 17-19, 2017, to share the newest discoveries in treatment and prevention at the American College of Cardiology 66th Annual Scientific Session & Expo. Eleven Children’s National pediatric experts presented groundbreaking research and developments from their respective specialties. Gail Pearson, M.D., Sc.D., gave the prestigious Dan G. McNamara Lecture. In her speech titled “The Future of Congenital Heart Disease Research: Keeping the Patient-Centered Promise,” Dr. Pearson reflected on the progress of congenital heart disease research and shared powerful narratives from patient families, detailing their hopes for the future. She also unveiled what’s on the horizon, including advances in genomics research, a data commons and new approaches for rare diseases. Dr. Pearson is a cardiologist within Children’s National Heart Institute, associate director of the Division of Cardiovascular Sciences, and director of the Office of Clinical Research at the National Heart, Lung, and Blood Institute. Simple versus Complex CHD: When to Refer to a Specialist?, Ashraf Harahsheh, M.D. The Challenge of Anti-coagulation in the Pregnant Patient with Valvular/Congenital Heart Disease and Update on the Management of Adult Congenital Heart Disease, Anitha John, M.D., Ph.D.
ACC Talk: The IMPACT Registry Can Be Used by Families to Shop for the Best Center, Gerard Martin, M.D. Atrial Fibrillation in the Young Athlete: Who is at Risk and How do We Manage This?, Elizabeth Sherwin, M.D. Disruptions in cerebral oxygen supply caused by congenital heart disease have significant impact on cortical growth, according to a research led by Children’s National Health System. 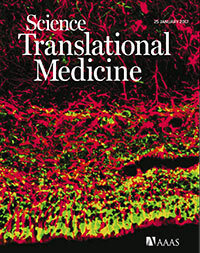 The findings of the research team, which include co-authors from the National Institutes of Health, Boston Children’s Hospital and Johns Hopkins School of Medicine, appear on the cover of Science Translational Medicine. The subventricular zone (SVZ) in normal newborns’ brains is home to the largest stockpile of neural stem/progenitor cells, with newly generated neurons migrating from this zone to specific regions of the frontal cortex and differentiating into interneurons. When newborns experience disruptions in cerebral oxygen supply due to congenital heart disease, essential cellular processes go awry and this contributes to reduced cortical growth. The preliminary findings point to the importance of restoring these cells’ neurogenic potential, possibly through therapeutics, to lessen children’s long-­term neurological deficits. “We know that congenital heart disease (CHD) reduces cerebral oxygen at a time when the developing fetal brain most needs oxygen. 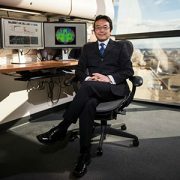 Now, we are beginning to understand the mechanisms of CHD-­induced brain injuries at a cellular level, and we have identified a robust supply of cells that have the ability to travel directly to the site of injury and potentially provide help by replacing lost or damaged neurons,” says Nobuyuki Ishibashi, M.D., Director of the Cardiac Surgery Research Laboratory at Children’s National, and co­-senior study author. 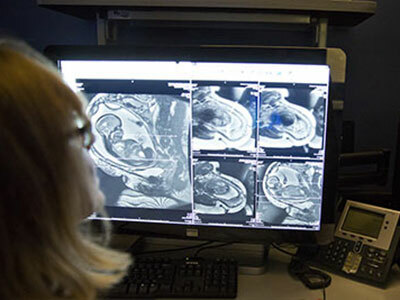 The third trimester of pregnancy is a time of dramatic growth for the fetal brain, which expands in volume and develops complex structures and network connections that growing children rely on throughout adulthood. According to the National Heart, Lung, and Blood Institute, congenital heart defects are the most common major birth defect, affecting 8 in 1,000 newborns. Infants born with CHD can experience myriad neurological deficits, including behavioral, cognitive, social, motor and attention disorders, the research team adds. Cardiologists have tapped non­invasive imaging to monitor fetal hearts during gestation in high-­risk pregnancies and can then perform corrective surgery in the first weeks of life to fix damaged hearts. Long­ term neurological deficits due to immature cortical development also have emerged as major challenges in pregnancies complicated by CHD. Among preclinical models, the spatiotemporal progression of brain growth in this particular model most closely parallels that of humans. Likewise, the SVZ cytoarchitecture of the neonatal preclinical model exposed to hypoxia mimics that of humans in utero and shortly after birth. The research team leveraged CellTracker Green to follow the path traveled by SVZ­ derived cells and to illuminate their fate, with postnatal SVZ supplying the developing cortex with newly generated neurons. 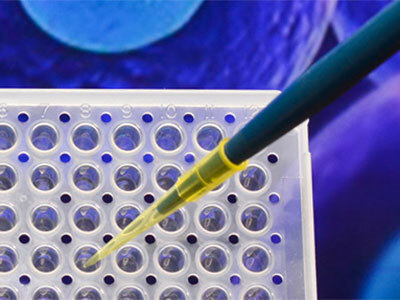 SVZ­ derived cells were primarily neuroblasts. Superparamagnetic iron oxide nanoparticles supplied answers about long­ term SVZ migration, with SVZ ­derived cells making their way to the prefrontal cortex and the somatosensory cortex of the brain. In the preclinical model of hypoxia as well as in humans, brains were smaller, weighed significantly less and had a significant reduction in cortical gray matter volume. In the prefrontal cortex, there was a significant reduction in white matter neuroblasts. Taken as a whole, according to the study authors, the findings suggest that impaired neurogenesis within the SVZ represents a cellular mechanism underlying hypoxia ­induced, region ­specific reduction in immature neurons in the cortex. The prefrontal cortex, the region of the brain that enables such functions as judgment, decision­ making and problem solving, is most impacted. Impairments in higher ­order cognitive functions involving the prefrontal cortex are common in patients with CHD. Although recent advances have greatly improved the survival of children with congenital heart disease, up to 55 percent will be left with injury to their brain’s white matter – an area that is critical for aiding connection and communication between various regions in the brain. Eight of every 1,000 children born each year have congenital heart disease (CHD). Although recent advances have greatly improved the survival of these children, up to 55 percent will be left with injury to their brain’s white matter – an area that is critical for aiding connection and communication between various regions in the brain. The resulting spectrum of neurological deficits can have significant costs for the individual, their family and society. Although studies have demonstrated that white matter injuries due to CHD have many contributing factors, including abnormal blood flow to the fetal brain, many questions remain about the mechanisms that cause these injuries and the best interventions. A Children’s National Health System research team combed existing literature, reviewing studies from Children’s as well as other research groups, to develop an article detailing the current state of knowledge on CHD and white matter injury. The scientists write that advances in neuroimaging – including magnetic resonance imaging, magnetic resonance spectroscopy, Doppler ultrasound and diffusion tensor imaging – have provided a wealth of knowledge about brain development in patients who have CHD. Unfortunately, these techniques alone are unable to provide pivotal insights into how CHD affects cells and molecules in the brain. However, by integrating animal models with findings in human subjects and in postmortem human tissue, the scientists believe that it will be possible to find novel therapeutic targets and new standards of care to prevent developmental delay associated with cardiac abnormalities. For example, using a porcine model, the Children’s team was able to define a strategy for white matter protection in congenital heart surgery through cellular and developmental analysis of different white matter regions. Another study from Children’s combined rodent hypoxia with a brain slice model to replicate the unique brain conditions in neonates with severe and complex congenital heart disease. This innovative animal model provided novel insights into the possible additive effect of preoperative hypoxia on brain insults due to cardiopulmonary bypass and deep hypothermic circulatory arrest. The Children’s research team also recently published an additional review article describing the key windows of development during which the immature brain is most vulnerable to CHD-related injury. Q: Can we create an animal model that recapitulates the morphogenic and developmental aspects of CHD without directly affecting other organs or developmental processes? Q: What are the prenatal and neonatal cellular responses to CHD in the developing brain? Q: What are the molecular mechanisms underlying white matter immaturity and vulnerability to CHD, and how can we intervene? Q: How can we accurately assess the dynamic neurological outcomes of CHD and/or corrective surgery in animal models? Q: Prenatal or postnatal insults to the developing brain: which is most devastating in regards to developmental and behavioral disabilities? Q: How can we best extrapolate from, and integrate, neuroimaging findings/correlations in human patients with cellular/molecular approaches in animal models? Source: Reprinted from Trends in Neurosciences, Vol. 38/Ed. 6, Paul D. Morton, Nobuyuki Ishibashi, Richard A. Jonas and Vittorio Gallo, “Congenital cardiac anomalies and white matter injury,” pp. 353-363, Copyright 2015, with permission from Elsevier.